The First Alert Onelink Wi-Fi Photoelectric Smoke and Carbon Monoxide Alarm combines online connectivity with the highest industry standards for safety and security in your home. This dual carbon monoxide detector and smoke alarm sends you notifications to your compatible Apple iOS device in the event of a smoke or carbon monoxide emergency. This smart alarm can replace most 120-volt AC hardwired alarms without having to rewire, and it includes a 10-year sealed battery, so there is no need to replace batteries over the life of the alarm. A unique Bluetooth mesh design lets multiple Onelink Wi-Fi Smoke and Carbon Monoxide Alarms communicate with each other, so all wirelessly connected Onelink alarms will sound if a single alarm is triggered. 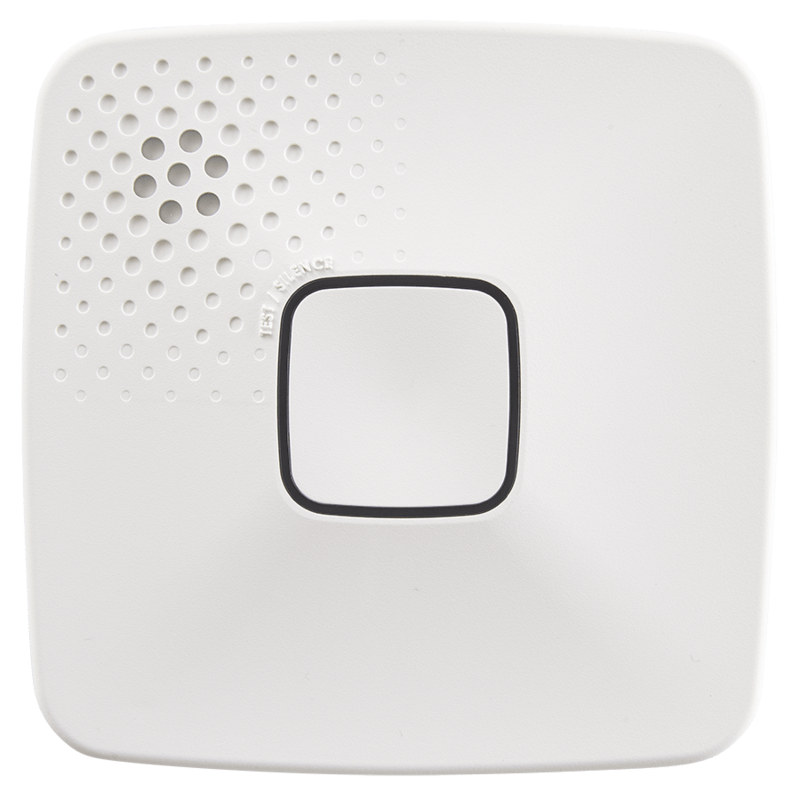 Compatible with iPhones and iPads using Apple iOS 9.0 or later, the First Alert Onelink Wi-Fi Photoelectric Smoke and Carbon Monoxide Alarm helps ensure you are informed if there is a smoke or carbon monoxide emergency in your home. This CO smoke detector combo will immediately send a notification to your device that lets you know what type of danger is present and where it is. You can also silence false alarms or test alarms from your device with the simple press of a button. The alarm is Apple HomeKit-enabled to work with other compatible HomeKit accessories in your home. Privacy is built in to the alarm and data is always encrypted. The First Alert Smoke and Carbon Monoxide Alarm features a photoelectric sensor that detects the smoke most commonly produced by smoldering fires, providing sensitive detection while minimizing false alarms from cooking smoke or shower steam. The advanced electrochemical CO sensor detects carbon monoxide leaks from multiple sources, such as faulty fuel-burning appliances, blocked chimneys, and generators running inside or too close to homes. Intended for non-professional do-it-yourself installation, this smart alarm can replace most 120-volt AC hardwired alarms without having to rewire by simply using the included adapter plugs. An included 10-year sealed battery helps ensures the alarm is always operational, even during power outages. This CO and smoke detector is designed to last 10 years, the longest time permitted by the National Fire Code. This carbon monoxide smoke detector features Voice with Location technology, which audibly announces the programmed location of the unit as well as which type of danger is detected. If multiple Onelink Wi-Fi Smoke and Carbon Monoxide Alarms are used together, they can communicate with each other using a Bluetooth mesh, allowing every alarm in the house to sound together even if only one alarm is triggered.